Gary Rowett is keen for Burton to match or better last season's total of 76 points in their final two games. The Brewers, already guaranteed a play-off spot, host Chesterfield at the Pirelli Stadium on Sunday and finish off by visiting Southend. 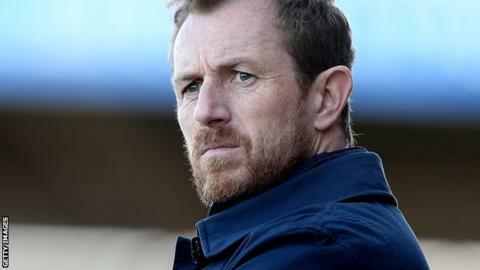 They currently have 72 points, meaning a draw and a win will be enough to reach Rowett's target. "We are always looking for progress and I want us to keep chipping away at the points tally," he told BBC Radio Derby. "We want to finish the season on a high. The points tally we have now would not be horrendous, but I would certainly like to get around what we achieved last season. "Progress for us this season would be navigating the first leg of the play-offs and going one step further this year, but points are also important to me." The match could see Chesterfield win promotion should the weekend's results go in their favour. If Southend lose at Fleetwood on Saturday, then a draw would be enough to ensure the Spireites go up automatically.